Domestos Cleaners, with hospital grade disinfectant, removes dirt, mould and germs. Domestos cleaner contains hospital grade disinfectant designed to kill germs and obliterate dirt and mould from around your home. Its versatility means it can be used for cleaning tasks as diverse as toilets, showers, bathroom surfaces, wastepipes, drains, kitchens and soaking nappies - anywhere you need hygienically clean results. Domestos Regular cleaner contains hospital grade disinfectant designed to kill germs, obliterate dirt and mould from around the home. The power of Domestos cleaners is also available in a citrus fresh fragrance. Domestos Mountain Fresh cleaner gives you all the power of Domestos cleaners with a fresh mountain fragrance. Domestos’ mission is help everyone, everywhere have a clean safe toilet. Did you know that 35% of the world's population has no access to even basic sanitation? Poor sanitation causes diseases like diarrhoea, which kills one child every two minutes. This equates to killing nearly 2,000 children under five every day. 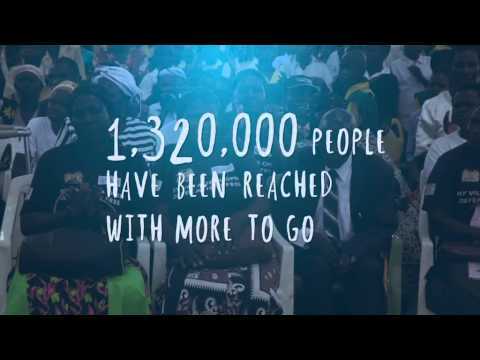 That’s why Domestos has committed to improving access to a toilet for 25 million people by 2020. We’re doing this by promoting the benefits of using a clean toilet and making toilets accessible. Would you use the see through loo? To help us understand what it’s like for the 1 in 3 women worldwide who don’t have a toilet to use and are forced to go out in the open, Domestos has installed a ‘see-through loo’ at Bondi Beach and asks the public – what is it like to feel exposed and vulnerable when you go to the toilet? So what exactly is the see-through loo? It’s a toilet specially commissioned and built by Domestos, where you can clearly see everyone around you when inside, but no-one from outside can see you. You certainly feel that uncomfortable sensation that everyone is watching you while you are going to the toilet. The purpose of the see-through loo is to raise awareness for the global sanitation crisis and help Australians understand what it’s like on a daily basis for the 1 in 3 women worldwide who don’t have access to a toilet and are forced to go in the open. Through its global partnership with UNICEF, Domestos has committed to helping 25 million people have access to proper sanitation and a toilet by 2020. 433 million school days are lost per year due to diseases caused by lack of access to safe water, sanitation and hygiene. That’s the same as every child in Australia missing school for 6 months. Domestos, The Unilever Foundation and UNICEF Partnership is working to change lives with better sanitation and access to toilets. 69,000 school children have benefited from sanitation and hygiene education programmes in 260 schools, meaning fewer sick days and more children staying in school*. Domestos brings 40 simple and effective tips to help you maintain an effective and germ-free home care routine. List of Ingredients - Domestos Household Cleaner – regular, mountain fresh, lemon variants. Water,sodium hypochlorite, lauramine oxide, sodium laurate,sodium hydroxide,sodium silicate, perfume.